Bruce Altshuler. “Dematerialization: The Voice of the Sixties,” The Avant-Garde in Exhibition: New Art in the 20th Century, New York: Abrams, 1994, p.236. Christian Rattemeyer and other authors. 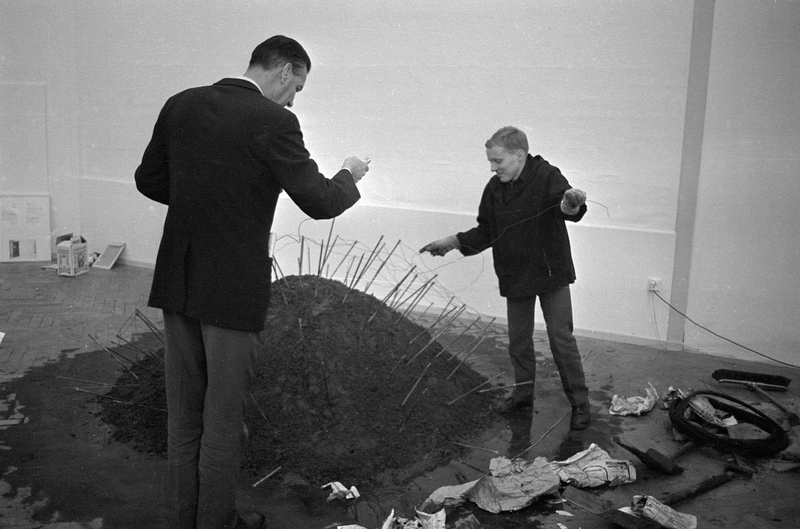 Exhibiting the New Art ‘Op Losse Schroeven’ and ‘When Attitudes Become Form’ 1969, 2010. Tobia Bezzola and Roman Kurzmeyer ed. “From the Publisher to our Chinese Readers,” Harald Szeemann: with by through beacuse towards despite, Zurich: Springer Vienna Architecture, 2007, Pp.15-16. Lucy Steeds, ‘Richard Serra in conversation with Lucy Steeds, 13 November 2009,’ Exhibiting the New Art: ‘Op Losse Schroeven’ and ‘When Attitudes Become Form’ 1969, London: Afterall Books, 2010, p.264.